Last week, we attended Whole Foods Market's #SupportOntario at the Stop Community Food Centre at Wychwood Barns. 100% of proceeds raised from the dinner was donated to the Stop's valuable community food programs. 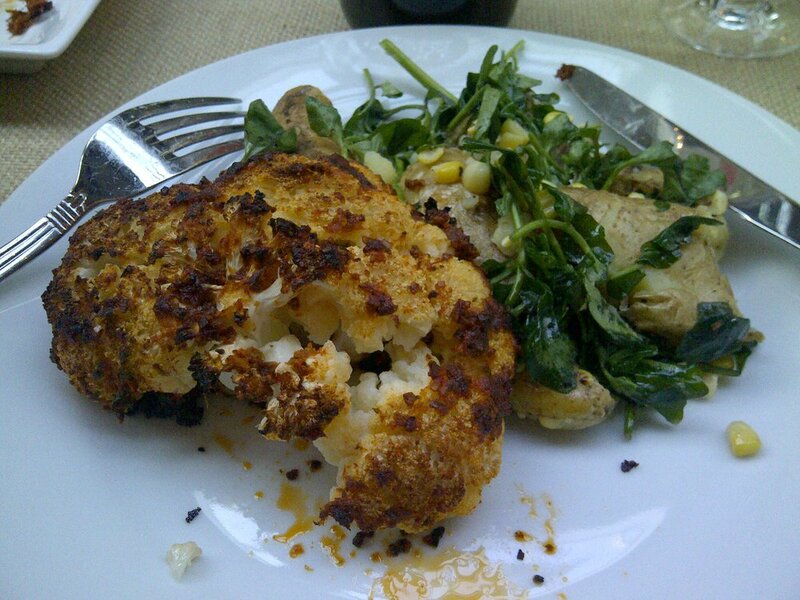 Cooked by the talented Whole Foods Market chefs, they treated guests (and vendors, like us!) to a delicious, all local, communal multi-course dinner. The food was phenomenal, the conversation and energy was inspiring and it was an energizing experience for all who attended and came to eat! 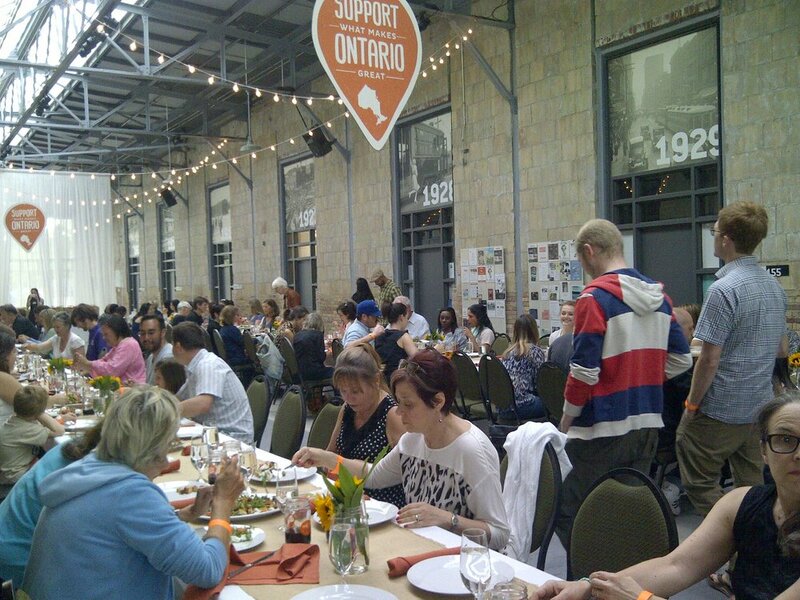 The communal long table dinner hosted by Whole Foods Market #CitySupper at Wychwood Barns. All proceeds went to The Stop Community Food Centre. Whole Foods Market chefs team cooked up the dinner with local Ontario ingredients - the food was delish! We had the opportunity to meet guests and tell them about our story and sample a tasting of Arvinda's spice blends. For the summer season, we wanted to make something easy, light and fresh so we served up Tandoori Skillet Spiced Chick Peas with a Cucumber Raita Drizzle. As promised, here's the recipe! 1) Salad: In a bowl, mix together salad ingredients. Chill in refrigerator. 2) Tandoori Chick Peas: In a skillet, gently heat oil on medium heat. Add ARVINDA'S TANDOORI MASALA and salt, and blend with oil. Fold in chick peas. Cook on medium-high heat for a couple of minutes. Sprinkle in lemon or lime juice on top. Allow mixture to cool down, then refrigerate. 3) Cucumber Raita Drizzle: In a bowl, mix all ingredients together. 4) Serve on individual plates. To serve, add chick peas, layered with salad and raita dressing on top. Enjoy!